· Each operating system appears to have the host’s processor, memory, and resources to it. 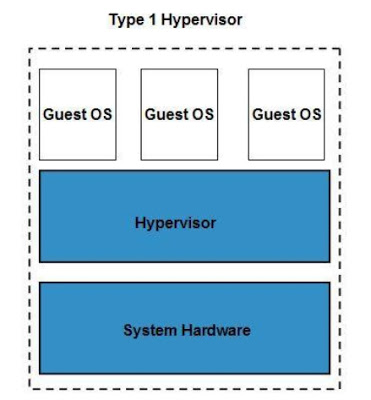 Instead, the hypervisor is controlling the host processor and resources, distributing what is needed to each operating system in turn and ensuring that the guest operating systems/virtual machines are unable to disrupt each other. 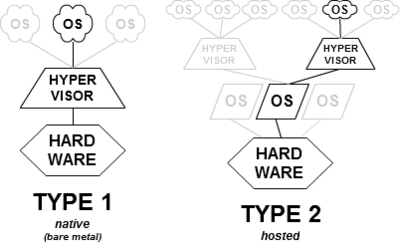 · The term ‘hypervisor’ originated in IBM’s CP-370 reimplementation of CP-67 for the System/370, released in 1972 as VM/370. · The term ‘hypervisor call’ refers to the par virtualization interface, by which a guest operating system accesses services directly from the higher-level control program. Software systems that run directly on the host’s software as a hardware control and guest operating system monitor. A guest operating system thus runs on another level above the hypervisor. This is the classic implementation of virtual machine architectures. A variation of this is embedding the hypervisor in the firmware of the platform, as is done in the case of Hitachi’s Virtage hypervisor and VMware ESXi.